NEW YORK, NY--(Marketwired - Dec 18, 2013) - The widely used PSA (prostate-specific antigen) test measures a man's PSA level and, when consistently elevated, can indicate prostate cancer. After a definitive diagnosis, many men elect robotic prostate surgery for complete removal of the cancerous prostate gland. "In localized prostate cancer cases, a zero PSA and a cure are both highly obtainable through prostate removal, making it the optimal prostate cancer treatment," said David Samadi, MD, Chairman of Urology, Chief of Robotic Surgery at Lenox Hill Hospital. But what if the PSA isn't zero after prostate surgery? Without a prostate, what does a fluctuating PSA mean? "One elevated PSA test after surgery is not cause for alarm; do not panic," urges Dr. Samadi. "Keep in mind that whether before or after surgery, the PSA test is very sensitive. We never draw a straight line from one elevated test result to prostate cancer." Since the prostate gland is responsible for PSA production, a zero PSA is a widely accepted measure of robotic surgery treatment success. But as Dr. Samadi explains to his patients, PSA does not leave the body the minute the prostate does. Experts agree that by waiting two months post-surgery to test PSA level, a truer measure should be obtainable. If PSA is detected, the test is repeated over a series of intervals every few months. When the PSA disappears or stabilizes near zero, cancer-free assurance can be given. "The likelihood of prostate cancer recurrence is based on pre-surgery status and the clarity of surgical margins achieved during prostate removal," said Dr. Samadi. "When post-surgery PSA tests indicate consistent activity, we look at the doubling time. How fast and how much is the PSA rising? Then we know if further treatment is needed." Prostate cancer recurrence after surgery is of greater risk to patients whose cancer was advanced at the time of diagnosis. In cases of seminal vesicle invasion or spread beyond the prostate gland, prostate cells that remain after surgery can gain momentum and begin producing enough PSA to indicate unwanted activity. Post-surgery PSA level fluctuations or increases require careful analysis of Gleason score and the time since prostate removal. Doubling time, the speed with which the PSA level doubles, is also a critical factor. "Not all prostate cancer recurrences are the same," explains Dr. Samadi. "After collaborating with our team of oncologists and prostate cancer experts and reviewing all diagnostic factors, we can individualize secondary treatments to be most effective for the patient." When prostate cancer recurrence is deemed more aggressive, radiation therapy may be recommended. Dr. Samadi encourages patients to reserve radiation therapy for Plan B, as the one-two punch can be highly effective. Reversing the order of treatment, however, is very limiting. Surgery is rarely possible after radiation therapy. Men seeking counsel on the best treatment for prostate cancer cure, fluctuating post-treatment PSA levels, and long-term success are invited to submit a question directly to Dr. Samadi via www.roboticoncology.com. Dr. Samadi is the Chairman of Urology and Chief of Robotic Surgery at Lenox Hill Hospital. 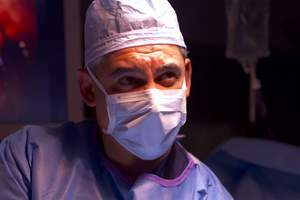 As a board-certified urologist and an oncologist specializing in the diagnosis and treatment of urologic diseases, prostate cancer, kidney cancer, and bladder cancer, he also specializes in many advanced minimally invasive treatments for prostate cancer, including his innovative robotic surgery procedure, SMART (Samadi Modified Advanced Robotic Technique) Surgery.